Set on the breezy banks of Charleston Harbor, the charming Old Village is one of the most historic neighborhoods in the town of Mount Pleasant. Within the neighborhood is the Mount Pleasant Historic District: an area listed on the National Register of Historic Places that encompasses 30 blocks between Shem Creek to the north and McCants Drive to the south, the Charleston Harbor to the west and Royall Avenue to the east. The oldest house in the area dates back to 1759, with others constructed in the late 18th and 19th centuries and impeccably preserved thereafter. But despite its rich history, this neighborhood is no relic. It boasts an old-school, small-town vibe that families, professionals, and retirees alike adore. 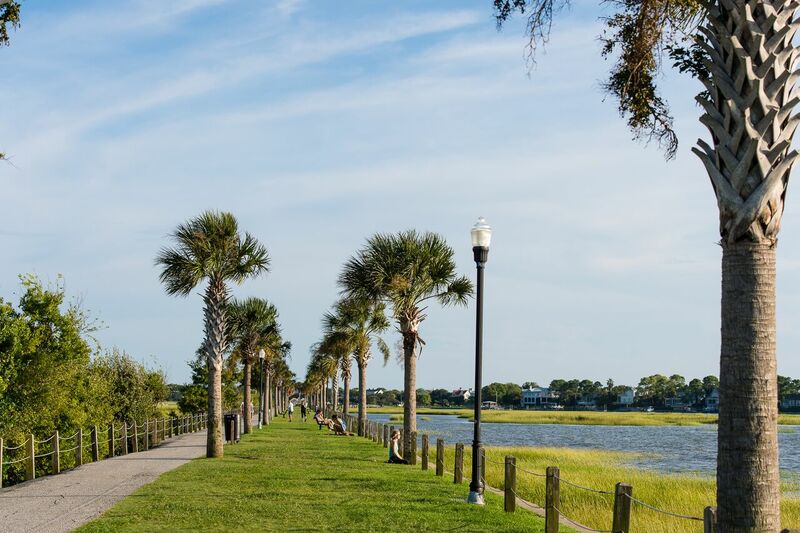 It’s also a walk, bike, or golf cart-ride away from the bustling Shem Creek (which boasts a handful of lively bars and restaurants, plus easy access to water excursions), and a sub-10-minute drive to both downtown Charleston and Sullivan’s Island—one of the most picturesque beaches in the Lowcountry. Read on for where to eat and what to do in the Old Village. WHO LIVES HERE: The Old Village is zoned in one of the Lowcountry’s best public school systems, so it’s a popular neighborhood for young families. And once a family moves to the Old Village, they rarely leave. Busy professionals, empty-nesters, and retirees seek out the quiet, scenic streets of the area, as well as its proximity to the salt water on Sullivan’s and the nightlife of downtown. Old-home lovers can often find a centuries-old property that they can lovingly care for, as well. WHERE TO EAT & DRINK: WIthin Old Village proper, the vintage gem that is Pitt Street Pharmacy is a favorite for ice cream cones and other pharmacy counter fare. 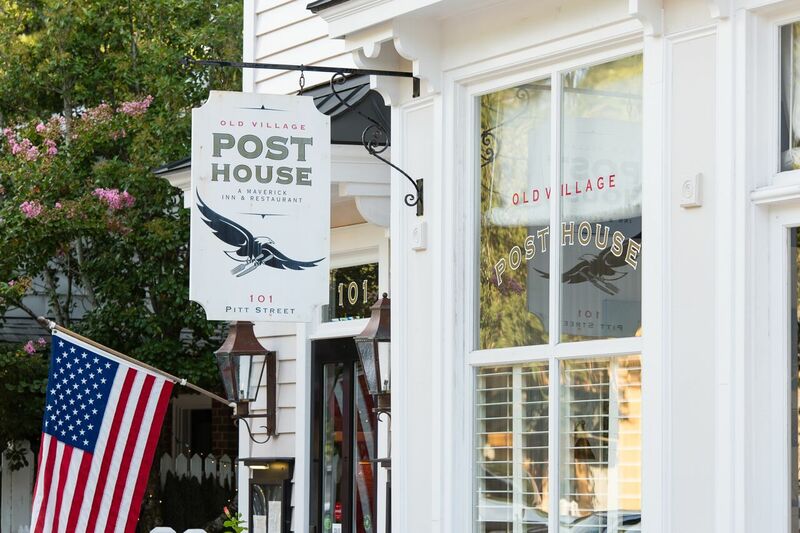 Fine dining or a craft cocktail can be enjoyed next door at The Old Village Post House Inn, or at Nico, a French oyster bar that’s within walking distance to most homes in the Old Village. Ride the golf cart or bike to Coleman Boulevard’s Coastal Crust—a family-friendly outdoor pizzeria that’s tucked right behind Vintage Coffee & Cafe, where you’ll want to start your day. And The Pickled Palate offers yummy lunch eats in a lush setting. 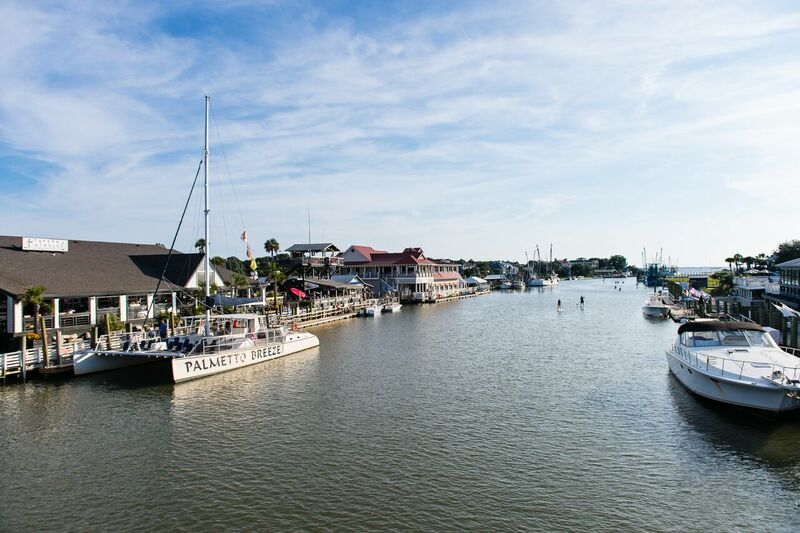 For a rowdier outing, grab a cold beer or libation at Saltwater Cowboys, Tavern & Table, or Red’s Ice House on Shem Creek—all of which are an easy walk or bike or golf cart ride away and offer delicious coastal fare (and dolphin spotting! ), too. 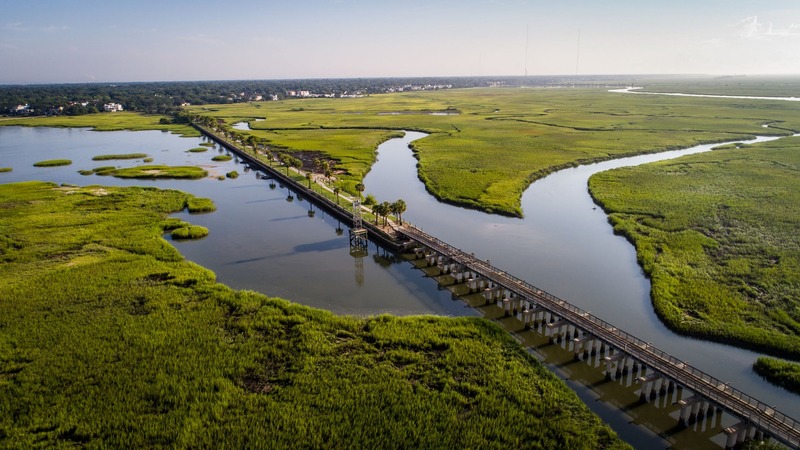 WHAT TO DO: You can’t visit the Old Village without a jog, bike ride, or stroll down the Pitt Street Bridge, a wooden pier erected in 1898 that’s located at the end of palm-lined Pitt Street and juts out into Cove Inlet (it once provided access to Sullivan’s Island). Residents can take an easy stroll or bike ride to the westen tip of most streets in the neighborhood to catch a brilliant sunset, and garden-gazing could be considered a sport in this picturesque part of town. Shop at Out of Hand Boutique—a fun interiors, clothing, and floral outfit on Pitt Street—or Elizabeth Stuart Design, a favorite spot for home goods. Set out via kayak or paddleboard in the nearby Shem Creek, or make the easy drive to Sullivan’s Island or downtown Charleston. Though to be sure: a full day of adventure and good eats can be had without living this safe, quiet, and quaint neighborhood.